You could allways plant those in your front yard!! That deer has some mass. I’ll take them there sheds from ya for 20 bucks.. Final offer! Wow those are some pretty big elk horns! those are the biggest sheds I have ever seen!!!!!! That isn’t a whitetail look at the eyeguards a whitetail with antlers that size and of that age would have enormous eyeguards. That is a Mulie, one of the most massive i’ve ever seen. wow thats got a lot of mass nice mulie sheds one of the biggest i have seen. Are you people dumb or what im only 17 and i know those sheds are a whitetail. 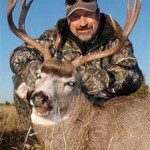 man that has whitetail written all over it have you even seen a muledeer? that is the most awesome sheds in america.I’d really like to shoot that buck if iI could find it. 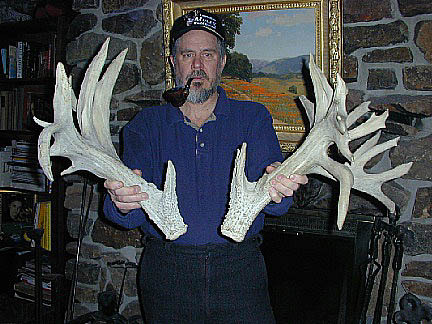 those sheds are from the buck of justice,a mule deer from the book cliffs in eastern utah.